You can download all historical data in your Facebook account. We recommend that you back up your account before you permanently close it. To back up your account, download a copy of Facebook data at the bottom of the General Account Settings section. Just click the link. When backing up your Facebook account, you can download all the information to your computer. If you just want to download your photos and videos, you should specify this on the backup page. Posts, photos, videos, comments, likes, phrases, friends, followers, followed, messages, groups, events, profile information, pages, payment history, saved content, places, ads, search history, location history, searches, if you get full back up the entire archive, including the page, login information and network information is downloaded. You should download Facebook data, because you may need it later. Facebook is a platform with many memories and friends. It is the largest of social media sites where unforgettable friendships, sharing and feelings are experienced. For any reason, even if you want to close your account, you do not want to delete old memories and information. The only way to do this is to download Facebook data if you regret it in the future and want to bring it back. After you complete the steps, you will encounter a zip file, just open the files using a zip software, or if you’re working in Windows 10, just Right-click the file and choose extract all. After extracting the files, double-click the index.htm file to discover your information. You should also pay attention to several folders that you can browse to access your photos, videos, and messages. When it turned out that this data was used by Facebook, it created a debate among social media users. There were even some actions in response to this. But still nothing changed. Because the Facebook service contract clearly states that these data are used by the company. t does all the social media sites, not just Facebook. Data is shared with 3rd party companies for advertising purposes. So briefly; No one is safe on social media. You should know that. It Doesn’t Work! How to Fix? There may be a problem with the data download link. You must notify Facebook customer service to correct this. The device to which you want to download the data (PC or mobile device) may not have enough storage space. In such cases, your download may fail. Clear your HDD and try again. One of the crazy features of Facebook, Facebook live, is the most used feature. It is enough to have a cell phone and a camera to share with your friends the moment you live and to broadcast them live. To go live on Facebook at mobile phone, you need an extra camera. You can use phone camera for this. If you want to broadcast live from the computer, you need a computer camera. 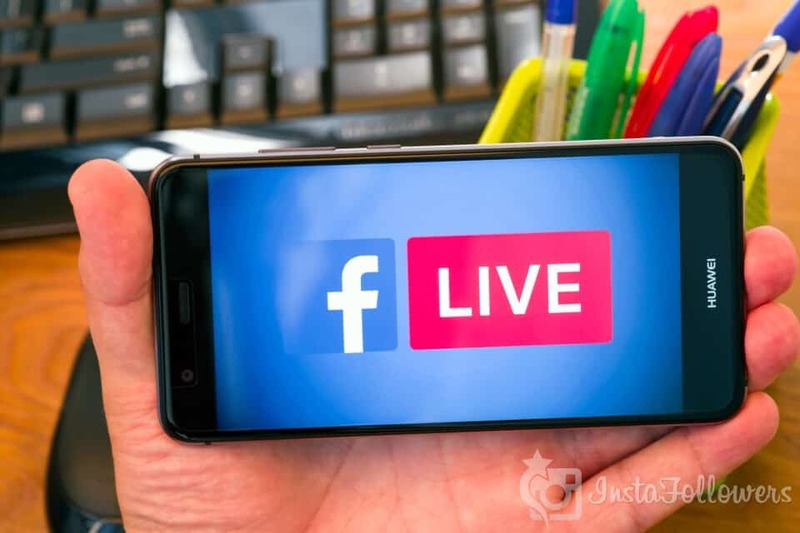 Facebook allows users to broadcast live. The feature is quite fun. Broadcasts through fast servers will not freeze. Of course, this depends on your connection speed. With just a few keys, you can start the live broadcast. When the broadcast is opened, a notification goes to your friends and everyone is automatically invited. Those who watch live can participate in the conversation and send various emoji. You can see the number of people watching the live broadcast on the screen and see each new viewer. You can chat with viewers in voice or in writing. What Happens After Streaming Ends? 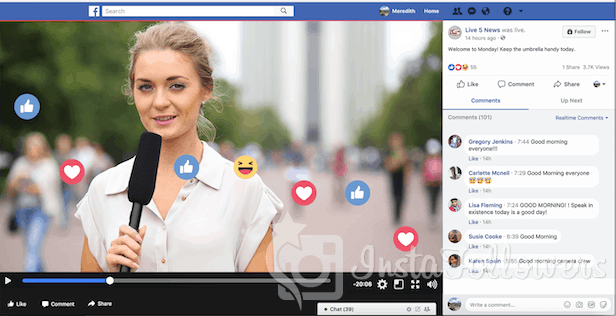 After the live broadcast ends, Facebook stores this live broadcast as a video and after the broadcast is over, you will be able to share this video on your profile. It provides an opportunity for those who miss the broadcast and cannot watch. The video can remain on your profile until you delete it. After you go live on Facebook, your friend list can watch your past live broadcast and post comments under video. If you don’t want to miss the live broadcasts of your friends, check the settings in the notifications section at your profile and make sure they are open. When and How I Should Use This Function? After everything is ready, click to Start live video and go! You can use this feature on both the web and all mobile applications. There are no restrictions for users. Compatible with Android and IOS operating systems. If you cannot go live on Facebook, you may be experiencing a connection problem. The live broadcast feature can be turned off. You can fix this by selecting Settings – privacy and security. You may have a camera problem on your phone or mobile device. You should check this in the camera settings of the device. Your Facebook application may not be up to date. Update from the application market. If you are on the move, if you have internet connection problems in your location, you may have problems with the live broadcast. These are possible problems and solutions. If you want to close your Facebook account, you can close it with 2 different methods. Temporarily or permanently. We will explain both methods. And because of the process you will learn what can happen, risks and consequences. 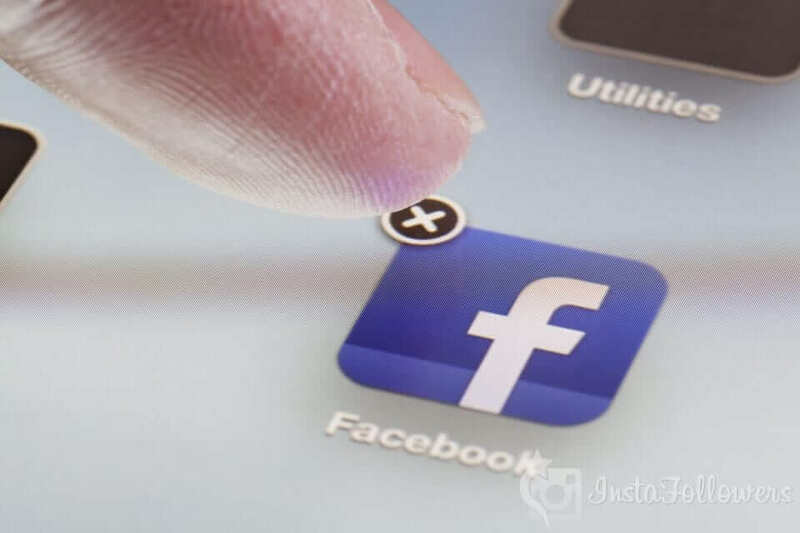 Before you delete Facebook account, be sure to back up your historical data and edit the settings of the pages you have. When you permanently delete the account, it is not possible to retrieve this information. If you click on the “delete my account” button below, you can proceed to the second stage of your account deletion without selecting one of these 3 options. Type your account password and done! That is all. Please note that when you permanently delete your account, all your pictures, videos, and shares will be deleted. Your second option is to temporarily close your Facebook account. It is an ideal method for you to just rest for a while and stay away from social media. In Facebook searches, no one can find you, send you messages, and follow your account. You can also do this in the same way as above. Follow the same steps and select the “temporarily close my account” option, which is only the first option. In fact, this method is the best method. It’s more advantageous to close permanently. When you change your mind, you can log back into your account and activate it. Whichever operating system you are using, the settings are roughly the same (Android & IOS) Deleting Facebook from your mobile device does not mean deleting your account. These are different processes. When you delete your Facebook account, your Facebook ad account, your pages, and your friend list are completely deleted. The ability to delete an account from the web and mobile application is important. You can delete your account without leaving the application. You can delete Facebook account, regardless of the web or mobile. We’ve explained just in case how you can delete your account in both the web and mobile app. Both are the same. 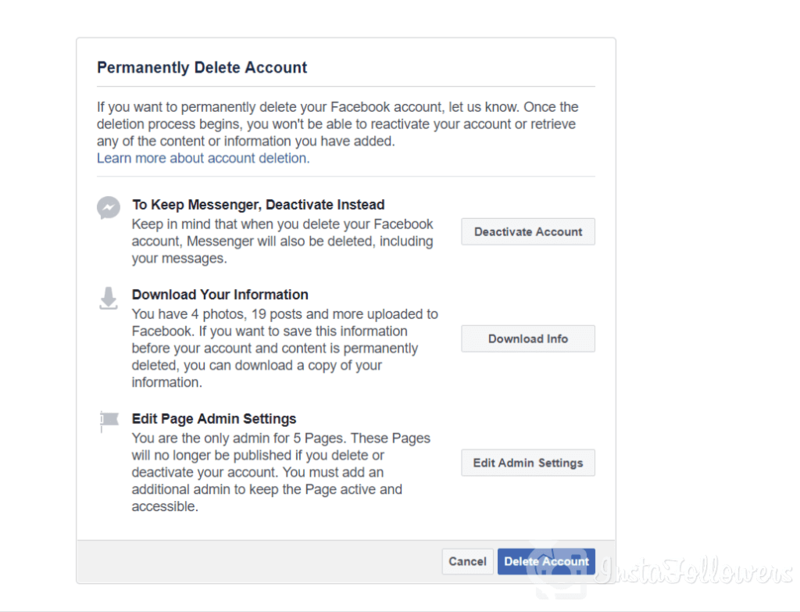 You can delete your account permanently or temporarily using the option that works best for you. Before you do this, if you have any credit card information stored in the system, we recommend that you delete them. Do not store this information in your social media accounts. 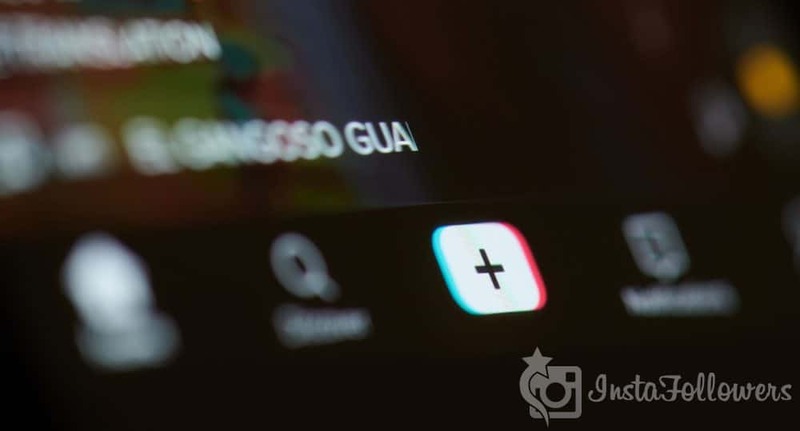 TikTok, one of the most popular and fun applications in the world, was created by a Chinese software team. The main purpose of the application is to upload the videos of the users and to be watched by other users. Users from all over the world can be followed and shared videos can be liked by others. These videos can be shared on many social media platforms, and even downloaded to mobile devices. There is no restriction on this subject. You can adjust the privacy settings of the video. And done! You are ready for TikTok crazy world. Enjoy! 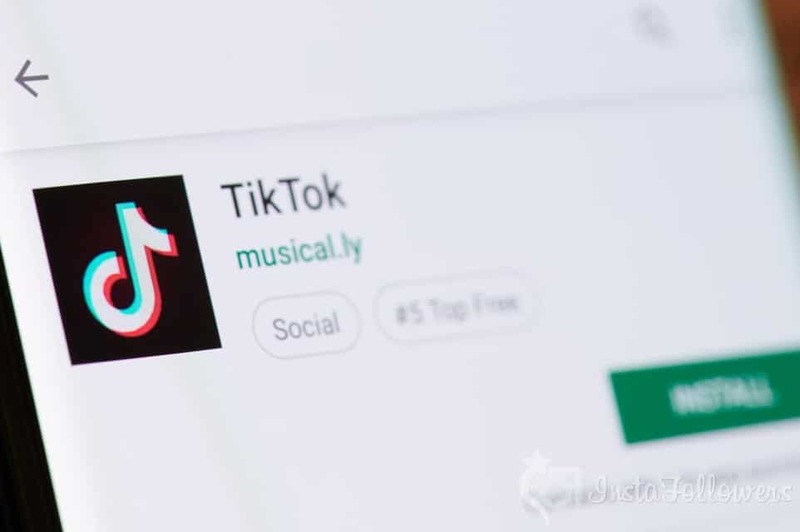 In India, some reports have been published that prohibited the application of TikTok. This is very strange news, but we haven’t yet confirmed whether it’s real. Teak is a pretty fun and practical application. It is very different from other social media applications. It is used to share videos, not to make friends. Effects and music can be added by users. This music can be used by everyone and can be recorded on video. The application is completely free. If the videos you add are liked by many people, it is possible to publish on the homepage. So, you can be watched by millions of people. Follow the steps and remove your account. When you delete your account, all the videos you add, your friend list, and everything in your account are permanently deleted. 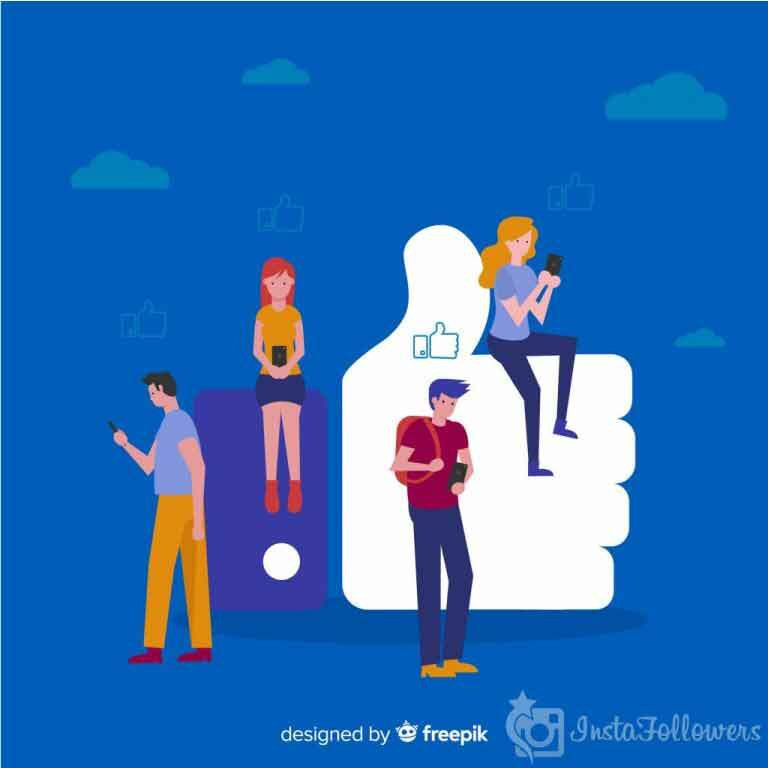 Author instafollowersPosted on April 22, 2019 Categories TikTok SupportLeave a comment on What is TikTok? Facebook, which constantly develops itself and frequently introduces a new feature, continues to surprise its users. GIF images shared on Facebook so far have been shared as a visual or link, but you can now add animated images directly. If a share is GIF, it can be distinguished by an icon on it. To post a gif on Facebook, you don’t need to use any 3th party app. 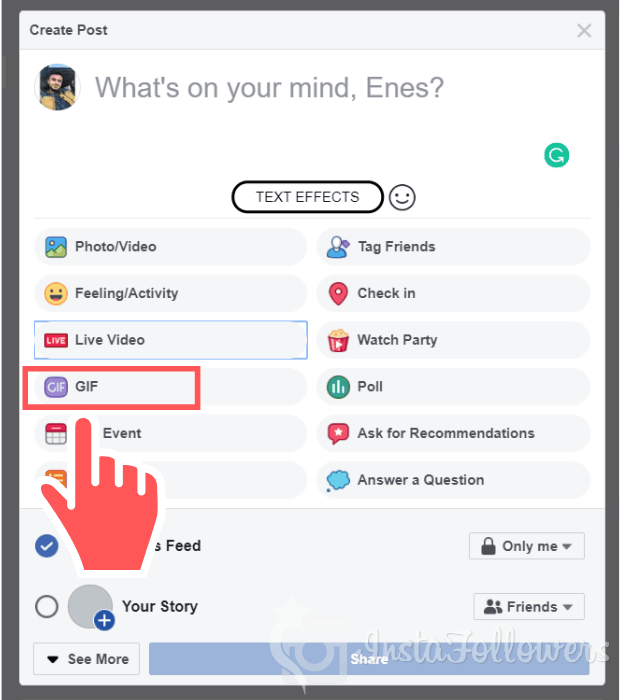 You can choose from Facebook Gif gallery and post it easily. What is a Gif on Facebook? GIF is the conversion of short cuts from videos into images. Another name is the animated photo. Some special graphics programs are used to do this. But now things have become so easy that you can convert any video you want online from various websites into GIFs. You can find hundreds of different Gifs in Facebook’s gallery. So, you don’t even need to do Gif with other applications. Even stickers are now available in Gif form. As social media sites started to support Gif format, interaction and sharing on these sites started to increase. You can use Gif while writing a comment on your favorite content on Facebook. You do not need to apply a different method to do this. As mentioned above, you can add Gif to comments. Select from gallery and add to comment section. For this you can add your own custom Gif. First, create Gif, add it to your gallery and add it to the comment section and select it from the gallery. You can also use gif this way when you send a message to someone. Facebook supports Gif in all parts of the site or application. You can search the GIF gallery and find GIF by topic. If you have problems with the mobile, check the device settings. There may be some restrictions. If that doesn’t work, you can get support from Facebook Customer Service. We hesitate to use our real names and information in social media accounts. Because we can be disturbed by the fact that thousands of people we don’t know our private information. It is very difficult to understand who is good and who is bad in social media. If you want to edit your personal information and change your name on Facebook, you can do so with a few settings. 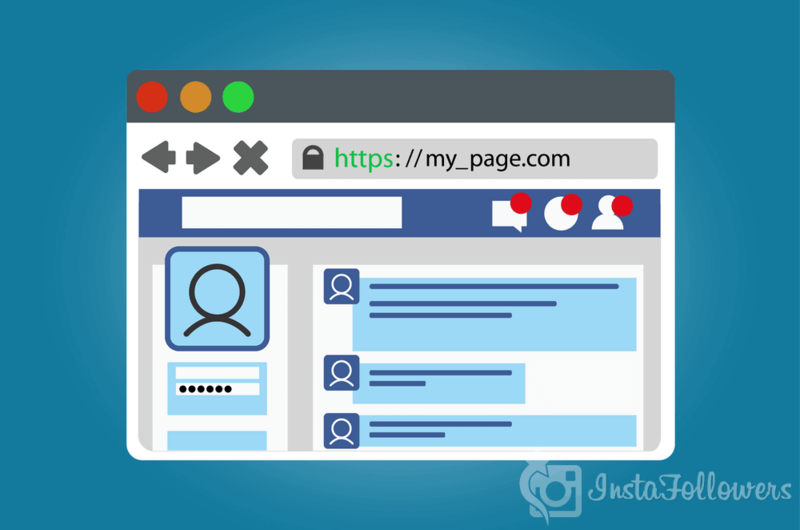 You may want to change your Facebook name when you have some security weaknesses or want to verify your profile on Facebook. When many people register for the first time on Facebook, they become members by writing different names and not their real name. But once they realize that it’s unnecessary, they want to change it. You can change the name in such cases. 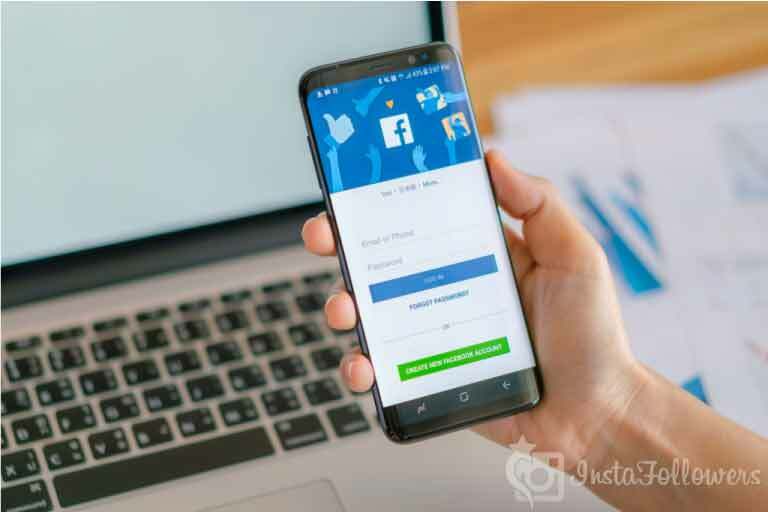 In addition, if you want to take advantage of Facebook advertising services, you will need to use your own real information at the time of payment. Otherwise, you will not be able to perform these operations. Facebook have a notice at that page. It warn you about not to add unusual uppercase/lowercase letters, punctuation, characters, or random words. If you use a second name, you can add it. Name and surname must be in the same way as your ID. If there is a potential security check made by Facebook in the future, you can verify your profile. So, please use only your information and all must be the real information. Is There any Limitation on This? How Often Can I Change? Of course! Changing the name on Facebook can only be done once every 60 days. This is a security measure taken by Facebook. It is not possible to make any changes in the name surname before the 60 days have expired. To change your name on Facebook, you need to be careful. You can do this via both the web and Facebook mobile app. n which language you use Facebook, you can write your name in the appropriate letters. Facebook has many languages support and can use letters in international standards. We only recommend that you change your name when necessary. The use of Facebook may seem a bit tricky and confused at first. But, it is the site that has the easiest and simplest use among social media sites. User friendly. We’ll give you a few tips on how to use Facebook. After reading these tips, the confused ones will understand how simple Facebook is. You only need to learn the categories you need. Because Facebook has dozens of different sections. You don’t need to know them all. Android, IOS, and Windows applications are as comprehensive as the web site. You can also do all the transactions you make on the website in mobile applications. Sometimes, you can even find more on mobile than the website. You can do all the activities on your mobile devices, such as opening pages, setting up groups, setting payment methods, advertising, communicating with your friends, and so on. You can only close your Facebook account via the web. This is a mandatory procedure for security reasons. This is not allowed in mobile applications. Which One is Better? Web or App? It’s hard to answer that question. Because it’s impossible to choose between the two. Web and mobile applications are really 100% successful and both are user-friendly. We can only say that mobile applications are a bit more advantageous in terms of ease of use. You can spend more time using your mobile phone and mobile devices. There’s not much we can say apart from that. If you use Facebook for commercial purposes, it may be advantageous for you to make your transactions on the web. You can edit more comfortable settings on the web. Facebook is compatible with all mobile operating systems. Do not make spam on Facebook! I have Problem on Facebook. How to fix? You are likely to have problems with Facebook. This is very normal. You may experience many possible problems, such as server problems, common problems and update problems. In such cases, examine the recommendations on our web site. We have published many articles on this subject. Read them and we’re sure you’ll find a solution to the problem. If you can’t find an answer, contact Facebook Customer Service. The help desk is very fast and will surely find a solution to your problem. You can find hundreds of informative articles in the Facebook Help section. Our friends list can be very crowded on all other social media sites, including Facebook. Some of the people on our list are close friends, and most of them are just acquaintances or people we don’t know yet. You can unfriend on Facebook that you don’t want. You can remove people or people you don’t want to be in your list from your friends list. This way, they will no longer be able to see the content you share on your profile and will not be able to communicate with you. Is your relationship bad with your friend? Or don’t you want to have more conversation with him? There is an easy solution to this. 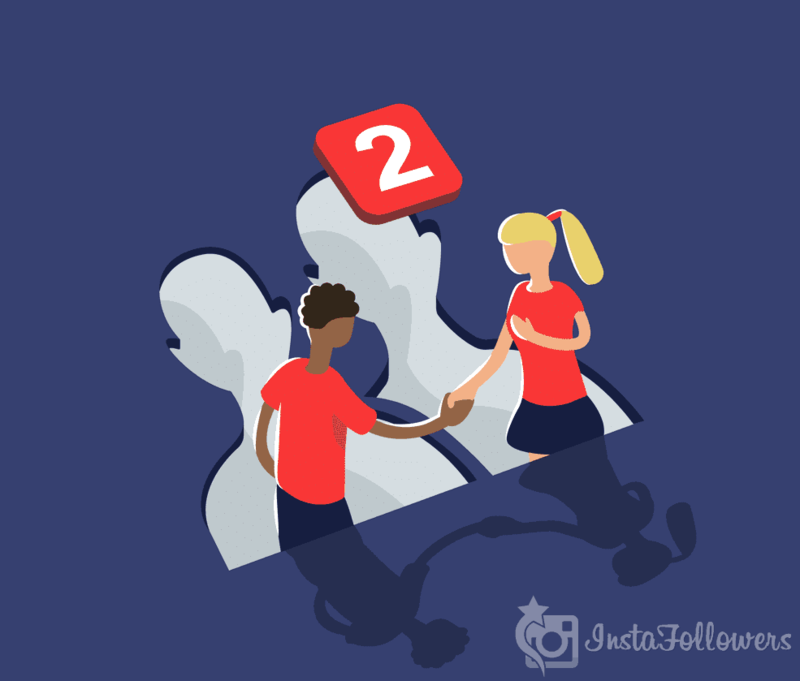 You can end your friendship on Facebook and stop social media chat. It’s not a good thing to have too many friends on Facebook. Ultimately, you don’t know all these people in real life. We don’t recommend adding people you don’t recognize to your friends list. You should only add people you know as friends. Having too many people on your list doesn’t benefit you. Why I Should Use Unfriend Function? This feature allows you to socialize comfortably and securely on Facebook. You may not want to be friend with him anymore. You may not know him. You may have heard some bad things about him. There is no any limit to unfriend on Facebook. In the same day, you can remove as many people as you want from your friends list. There is no restriction on this subject. But certain restrictions apply when adding friends. There is a daily limit and you cannot exceed this limit. When you add someone as a friend on Facebook, you will also be following him. In other words, you can get all the updates shared in their profile. You can also follow the users without adding them to your friends list. If you delete a contact from your list, you can no longer receive their updates. When you want to add someone as a friend, that person must approve it. But to delete it from your friend list, you don’t need anyone’s approval. You can delete it directly. The person you removed from your friends list won’t receive any notification. Only he can notice it by himself. And say goodbye to your friend. You can apply this to all your friends that you want to delete. After you unfriend someone, you can also block the user if you want. If you block the user, this person will not see any activity in your profile and he/she will not be able to contact you.